The yellow gold of these multi-colored gemstone stud earrings in 14K yellow gold from Apples of Gold Jewelry really make the different colored gemstones stand out! 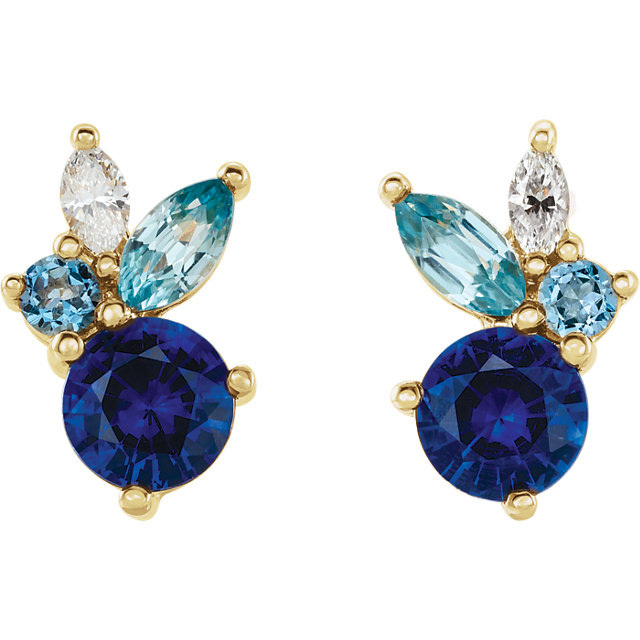 The contrasting colors work together to create a lovely pair of earrings that are unlike many others! The earrings, which measure 5.9mm by 3.42mm (1/4 inch by over 1/8 inch) in size, have friction-post push-back closures. At the end of each post is a setting that features four different colored blue gemstones, such as a deep ocean blue stone, a pale sky blue, a light aqua color, and a white stone. With different shapes and colors, you will be sure to keep these in your favorites section of your jewelry box! 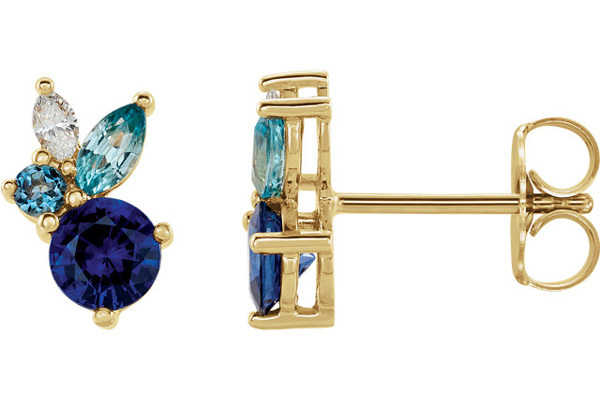 We guarantee our Multi-Colored Gemstone Stud Earrings, 14K Gold to be high quality, authentic jewelry, as described above.